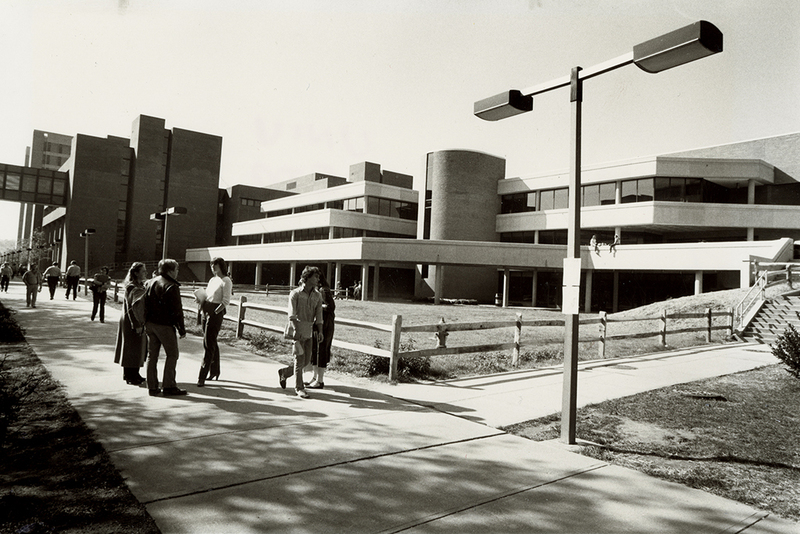 When the University Center, known on campus as “the UC,” opened its doors in 1982 it definitively moved student life to the academic center of UMBC’s campus with a goal of cultivating a cohesive, unified community for students, faculty, and staff. 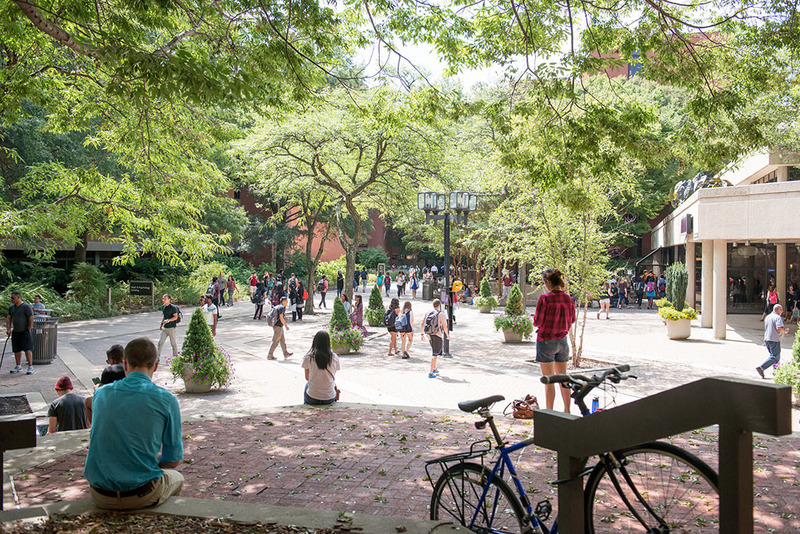 The UC, located between academic buildings Meyerhoff Hall and Sherman Hall, provided the campus community with a variety of amenities, including the campus bookstore, a dining room, a ballroom, and lounge space. 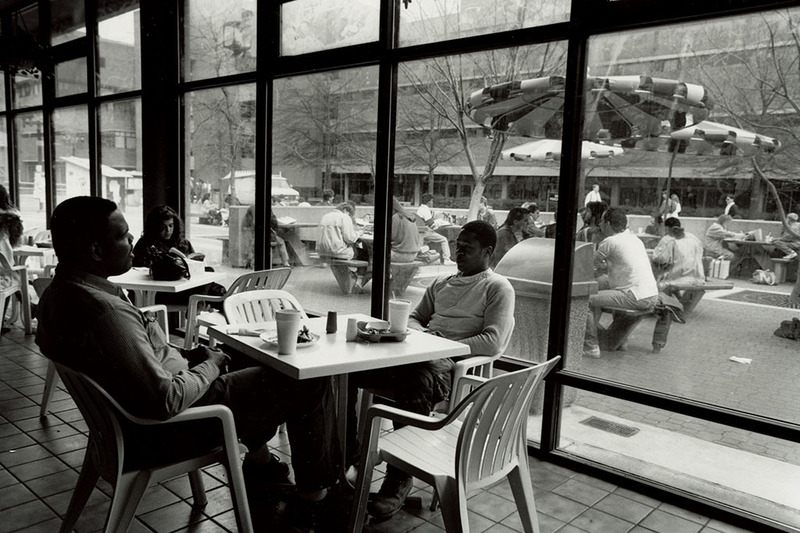 Students who commuted and those who lived on campus enjoyed meals in the UC Pub or congregated outside on the patio. 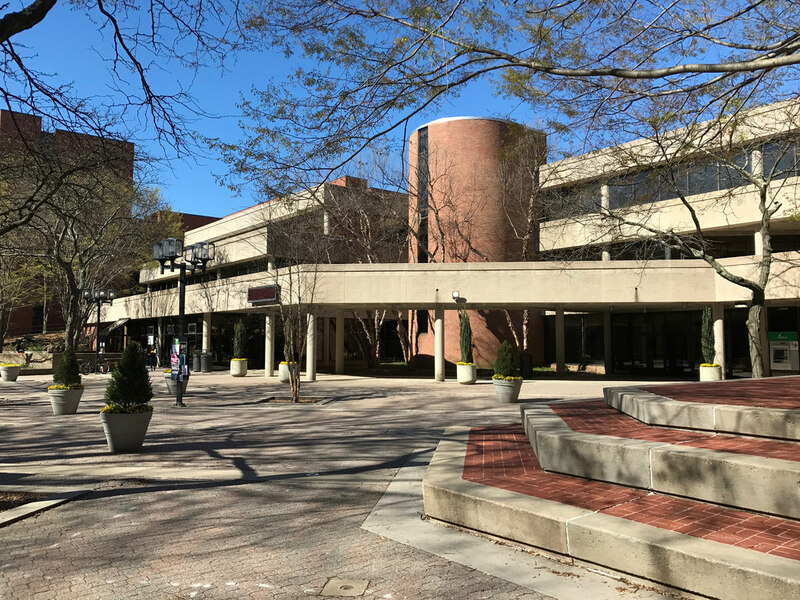 The UC provided office space for some student organizations, such as the Student Government Association and the Retriever, UMBC’s student newspaper, and storage space for others. UMBC began to outgrow the UC within the first decade of its operation as the result of increased student enrollment and already limited student space. In 2002, the university completed construction of a new student center, the Commons, that took on many of the student centered functions of the old UC in a larger space, including housing the campus bookstore, dining amenities, and lounge space. The UC is still used by UMBC students. On a nice sunny day, visitors might see students congregating on the outdoor patio, drinking coffee, or eating lunch on the first floor of the building. The UC ballroom remains a popular venue for banquets and performances by student organizations. The Retriever Weekly newspaper and WMBC, UMBC’s radio station, have their offices in the UC. Home to the College of Natural and Mathematical Sciences, the Psychology Center for Community Collaboration, and the English Language Institute, the UC is indeed changing its function over time. In 2009, campus administration announced plans for a full renovation of the UC intended to provide space for new traditional classrooms and active learning spaces, transforming into the aptly named University Learning Center. LaQuanda Walters Cooper and Sarah Huston, “The University Center,” Explore Baltimore Heritage, accessed April 19, 2019, https://explore.baltimoreheritage.org/items/show/546.